It is very important to check and maintain your furnace if you live in a city like Toronto with a cold climate. Such regular maintenance can prolong the life of your furnace. However, at times you might need to replace it because of the wear and tear resulting from constant use during the winter months. Your trusted heating contractor can recommend the best possible brands and models for you to choose from, based on your needs. When it is time to replace your furnace, take the time to look around for the ideal furnace for your home. It should suit your needs and should also be energy efficient. There are many technologically advanced models available these days and so do your homework before buying the furnace. This is even more essential when you consider the rising cost of heating due to the increasing utility rates. 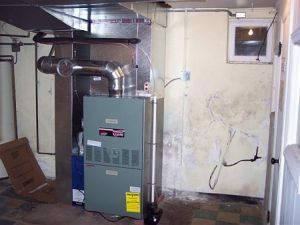 So you should look for a furnace that not only keeps you and your family warm, but also helps to reduce your utility bills. There are plenty of models and types to choose from when it is time to replace your old furnace. But the most popular one seems to be the forced-gas furnace which is highly efficient. There are many models available from different manufacturers and your furnace contractor can suggest the best one to suit your home. We can recommend suitable models based on the size of your home and other factors, and recommend furnaces with EnergyStar ratings of 97. Such models can help you immensely by reducing your utility bills to a great extent. You can buy a stand alone furnace or one that comes with a humidifier so that your family can relax with the right humidity. We all know that in winter our skins become dry and lips crack. This is because the cold weather makes the air in your home dry; so the moisture is literally sucked by the air around you from every possible source: your skin, throat, eyes, plants, pets, wood, etc. So, when you fix a humidifier to your furnace, the right temperature and the right humidity can help you truly relax. At Heating Ontario, we have more than ten years’ experience in installing, servicing and replacing furnaces. We can help you to get not only the best out of your furnace, but also to cut down on your utility bills. So think of us when think of furnace replacement! We keep your homes and your family warm!